Once upon a time a young woman lived in the city. She ran on sidewalk, she walked to the store and she dined with her friends several times a week. Some of her friends were vegetarians so it was not unusual for the meals created to be vegetarian. And to this day the young woman still loves vegetarian food, despite the fact that the man she loves would never touch it. The end. I went to the farmer’s market on Saturday. I came home with some amazing cucumbers and tomatoes that I couldn’t wait to eat. 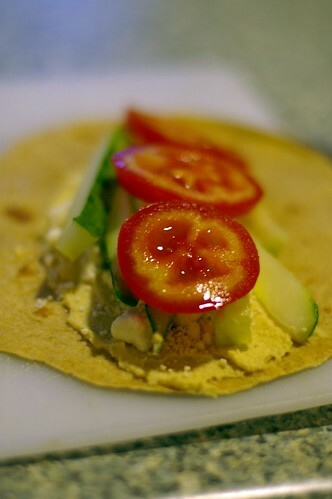 I came up with an amazing wrap sandwich to get the vegetables into my belly. I am now addicted. I’m serious, I have had at least one every day for the last four days. At least it’s healthy. 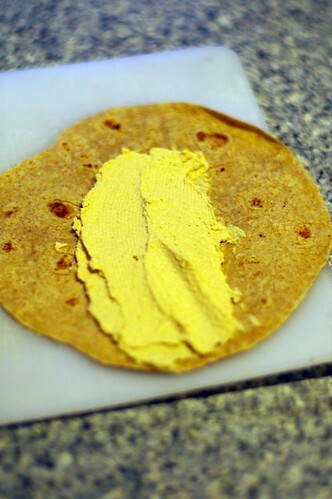 So take a wrap (not only am I eating lots of veggies but on wheat wraps) and put some hummus on it. I’m partial to the garlic lover’s hummus, but any will do. Sprinkle on some crumbled Feta. 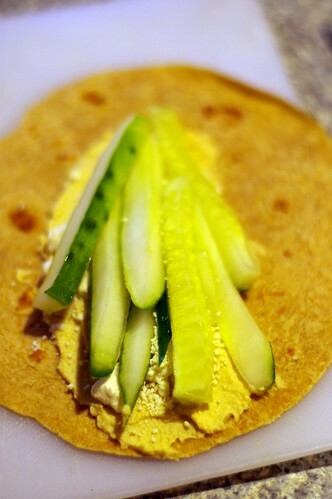 Throw on some slivers or slices of cucumbers. And some slices of tomatoes. And as a final (optional) touch a little bit of tzatziki sauce. 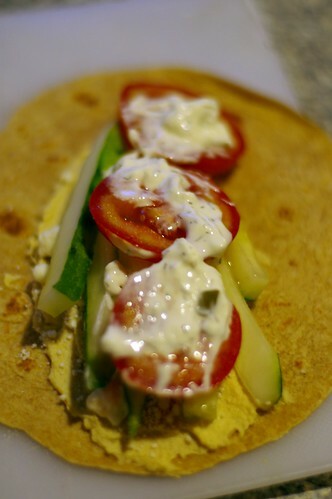 Because this wrap can use some yogurt, dill and even more cucumber. And that’s it. Wrap it up and devour the tastes of fresh summer food. I first saw this idea here who found it here who got it from this russian livejournal. So it’s making it’s rounds on the internet I wish I still babysat or had a niece or nephew because I think little kids would love this quick and easy meal. 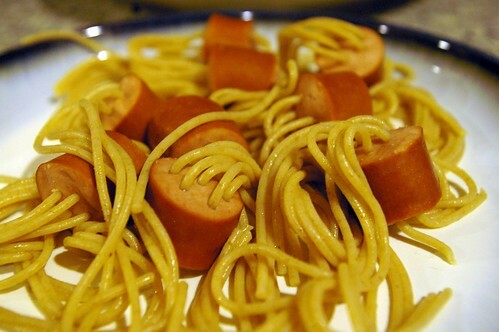 OK, perhaps not as quick and easy as spaghetti with sliced up hot dogs but a fun way to get the kids to eat dinner. Spaghetti:I think I used thin spaghetti. 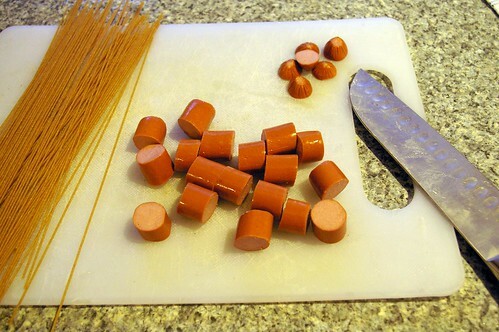 I would recommend using a spaghetti that’s tough enough to not break when you pierce the hot dog pieces. I bet whole wheat spaghetti would work too. 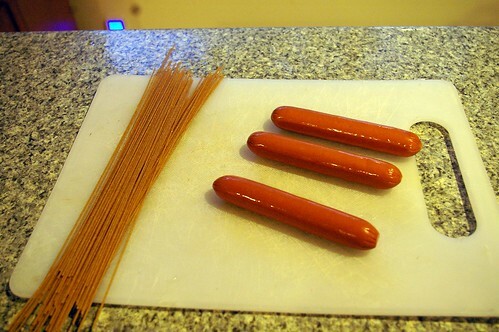 Hot Dogs: I used turkey hot dogs but I’m sure any kind of hot dog/soy dog would do. 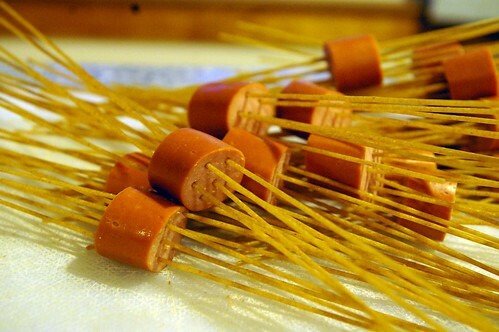 Slice up hotdogs in bite sized pieces. 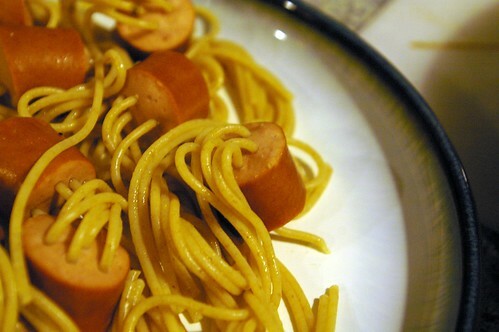 Stab spaghetti noodles through hot dog pieces. 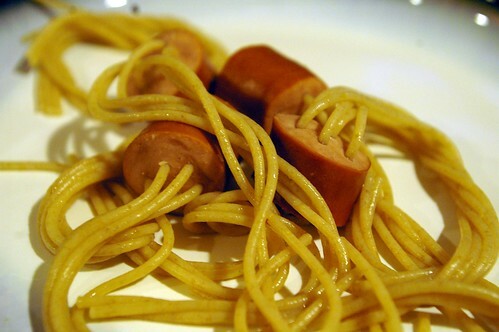 It’s hard to get a specific pattern on both sides, I gave up pretty quickly on getting the spaghetti to be perpendicular to the hot dog piece. In a pot of boiling water, follow the spaghetti’s directions for cooking the spaghetti A La Dente. Gently drain water and voila. A masterpiece that can be eaten with or without a sauce. Although I would recommend that the initial presentation be without sauce. Perhaps someone will come up with a creepy name for the dish and it will become a halloween favorite. This is one of my favorite meals to make with ground turkey. But you can use ground beef instead. For the breadcrumbs I crushed wheat chex because it was all I could find in the house. 1. 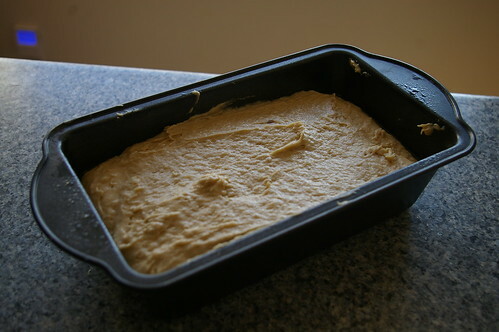 Preheat oven to 350 degrees F. Spray a 9 x 5 inch loaf pan with nonfat cooking spray. 2. 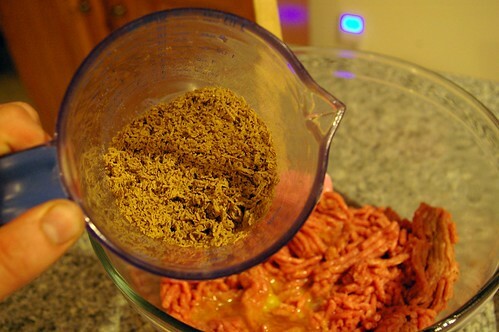 In a large bowl, mix together ground turkey, egg, bread crumbs, and onion. 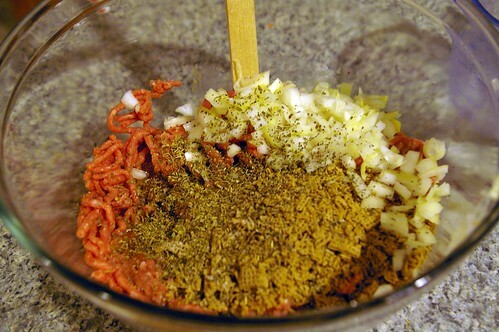 Add mustard, italian seasoning, salt, black pepper, and garlic powder and mix well. 3. Place half the meat mixture in prepared pan. Make a shallow well down the length of the meat. 4. Defrost Spinach and drain well. 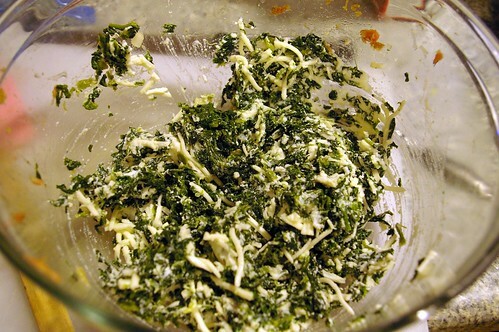 In medium bowl, combine spinach, ricotta, and mozzarella, mix well. Place in well. 5. 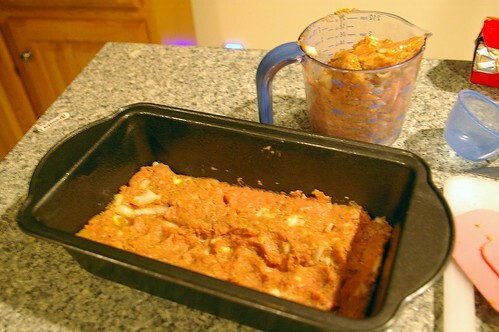 Cover with remaining meat mixture; pinch sides of meat together to seal well. 6. Cook at 350 degrees F for 1 hour. 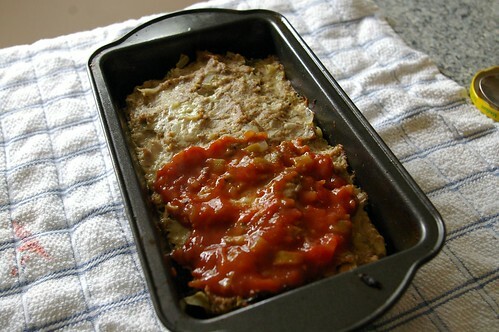 If liquid from vegetables seeps out of stuffing, that`s OK, just drain it off. Let rest for 10 minutes, top with salsa (it covers up the odd colour of the cooked ground turkey), slice and serve. 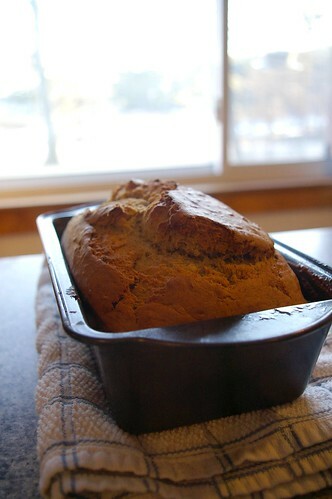 I made banana bread today from a modified version of the 18 serving version of this recipe on Allrecipes.com. 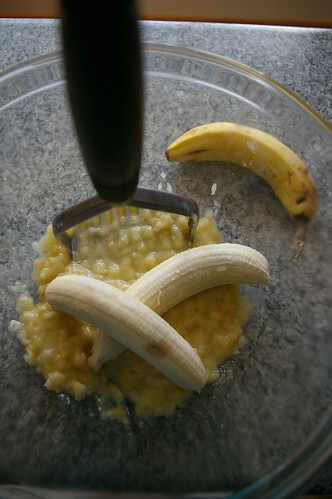 If you have bananas that you are looking to mash and make banana bread out of I would recommend mashing your bananas and measuring how many cups of mashed banana you have. Then find a serving size that works well with the quantity of banana. You can add walnuts or chocolate chips to this bread to mix it up. In a large bowl, cream sugar and butter or margarine. Beat the egg slightly, and mix into the creamed mixture with the bananas. Mix in sifted ingredients until just combined. Stir in milk. Stir in nuts or chocolate chips if you use them Spread batter into one greased and floured 9×5 inch loaf pan. Bake at 350 degrees F (175 degrees C) until top is brown and cracks along the top. 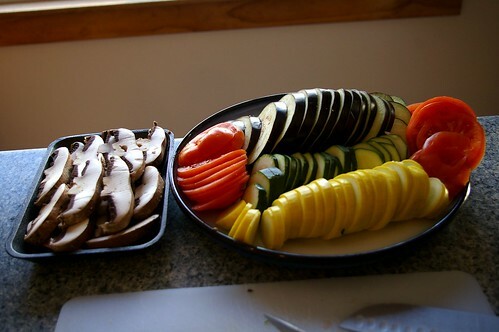 This is one of my new favorite dishes, I’m excited for the excesses in the garden this summer of eggplant, tomato, zucchini and summer squash because it will be delectable with cheese and portobello mushroom. 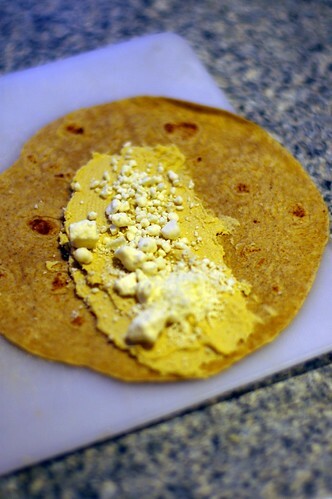 Be sure to save this recipe if you are vegetarian or seasonally vegetarian like I sometime am. I was quite proud of myself for making most of this recipe with organic vegetables, although at this time of the year they weren’t grown locally. I found this recipe in the local supermarket, Hannaford’s, monthly Fresh publication. They recommend several of their store brand olive oils and cheeses and suggest that the dish be served on a orzo pasta. I like it as is. 1. Preheat oven to 350 degrees. 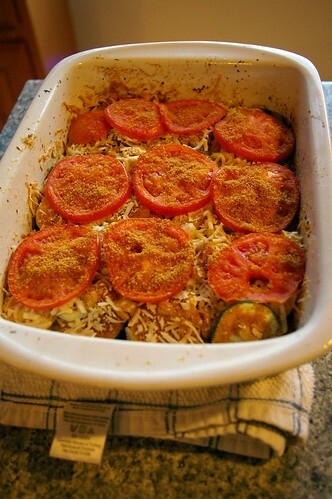 Spray a 9-by-13 inch baking pan with vegetable spray. 2. Cover bottom of dish with eggplant slices and drizzle with 2 tsp. Basil Oil. 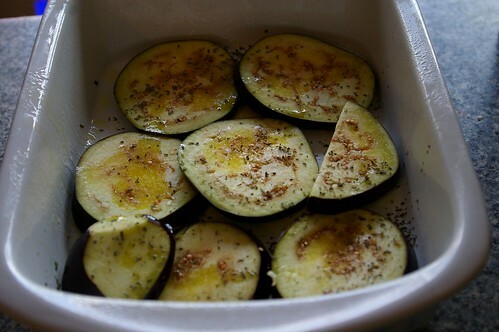 Sprinkle half the chopped onion over the eggplant. 3. 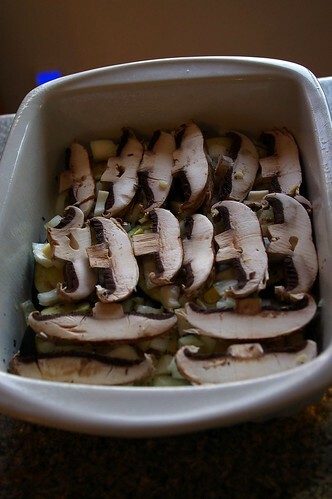 Layer mushrooms on top of onions, sprinkle on Asiago cheese, and drizzle with remaining 1 tsp. Basil Oil. 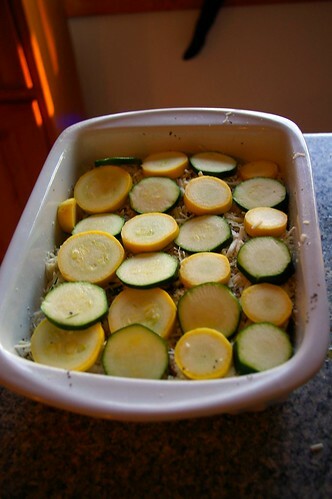 Layer on zucchini and top with remaining chopped onion. 4. In a small bowl, mix Parmigiano with Garlic Oil and 1/2 cup of the bread crumbs. Sprinkle over onions. 5. 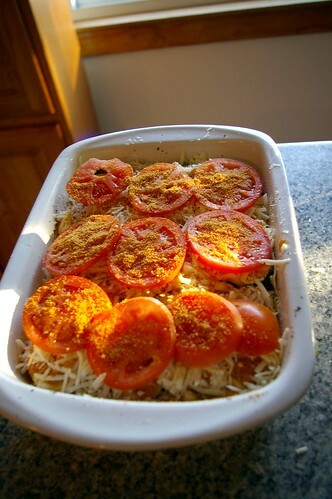 Finally, layer tomatoes on top and sprinkle with remaining 1/4 cup bread crumbs. 6. Bake at 350 degrees for 35 minutes, until vegetables are tender when pierced with the tip of a knife. 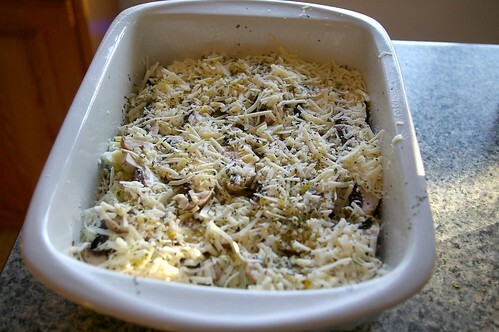 Turn on broiler and broil 2 to 3 minutes or until top crumbs are lightly browned – watch carefully to make sure gratin doesn’t burn.